My latest movie column for Yahoo! India is about Satyajit Ray's most playful and timeless film, and the minor disconnect I once felt from it as a non-Bengali-speaking viewer. Here goes. I'm watching Satyajit Ray's fantasy-adventure classic Goopy Gyne Bagha Byne, about two simpletons - the singer Goopy and the drummer Bagha - who use their music and their generally upbeat outlook towards life to help save the land of Shundi from an attack by a rival kingdom. I've seen the film twice before, and each time the subtitling has been inadequate (to say the least). Besides, on the first occasion years ago, I wasn't familiar with the original story written by Ray's grandfather Upendrakishore, and so I had to draw my own conclusions about some of the plot details. But even the most imaginative subtitles can't replace the experience of understanding the words as they are spoken, and therein hangs a tale of disconnect. I love Goopy Gyne Bagha Byne, but I'm aware that it can never be part of my childhood mythology in the way that Hindi movies were - or the scone-and-macaroon-filled world of Enid Blyton for that matter. The first time I saw Ray's film, the language was a barrier. Take the enchanting scene where the king of ghosts, speaking in a singsong voice, offers Goopy and Bagha three boons. The impact of the scene - the sense of mystery and wonder it creates - hinges on the cadences of the ghost's speech as well as Ray's use of a syncopated electronic tune; it requires an immediate link between the viewer and the characters. And so, there's a big difference between the experience of the Bong viewer - who understands the words and their inflections directly - and the experience of the gatecrasher whose eyes must flit back and forth, from the subtitles (which in any case are often so poor that a second layer of conscious interpretation is required) to the expression on the ghost's face (it's delightful how he looks wide-eyedly from Goopy to Bagha and back again as he speaks, as if they, not him, are the oddities). But it would be a mistake to suggest that the Goopy Gyne Bagha Byne experience can be spoiled by not knowing the language - it contains so many fine examples of pure visual storytelling. Watching it now, I marvel at how playful and experimental Ray was here (possibly one reason why this film and his other movies for children are neglected by Western critics: their existence is inconvenient for those who pigeonhole him as a director rooted in realism). He very effectively uses tracking shots and close-ups (as in the gloating faces of the village elders who get Goopy into trouble early in the story). There are freeze frames, there is even a series of jump cuts (when Goopy claps his hands while singing "Maharaja Tomare Selaam" for the king of Shundi), and many striking compositions that create a sense of unease: a scarecrow in the foreground as Goopy makes his way across a field; a shot of water dripping onto a drum followed by a slow pan to Bagha sleeping nearby. 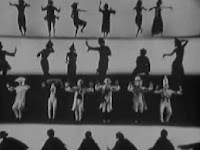 Best of all is the film's most famous sequence: the inventive and multidimensional ghost dance, which is a superb example of an aspect of Ray's creativity that many people are still sadly unfamiliar with. 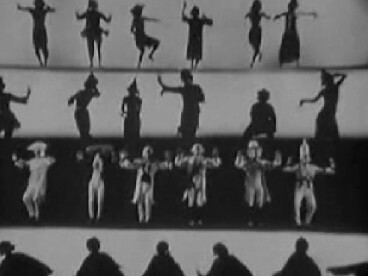 The dance begins with four groups of ghosts (representing different classes of society - noblemen, soldiers and so on) posturing grandly, but it ends in all-round massacre, with everyone dead, and this foreshadows a key theme of the film. I doubt that anyone watching Goopy Gyne Bagha Byne even at the level of "mere entertainment" can fail to be moved by its understated yet clear-sighted pacifism, which finds its final expression in the uplifting climactic scene where hungry soldiers lay down their weapons and make a beeline for the pots of sweets that Goopy and Bagha have conjured for them. Ray doesn't underline the anti-war theme, but it's there for anyone to see. Warmth and empathy are qualities found in all of Ray's movies, but this genre allows him to display them in their rawest, least guarded form: where else could you have that lovely visual of Goopy and Bagha performing for the Shundi Raja (played by the wonderful character actor Santosh Dutta, whose smiling presence is one of the most reassuring things about any movie I've seen him in), all three men so caught up in the moment that they beam unselfconsciously at each other, with the Raja swaying and clapping his hands like a little child in tune to the song? Goopy Gyne Bagha Byne is about many things - it's about the strange and complex interactions between kings and commoners, about underdogs who triumph in the end, and about the value of good companionship (Goopy and Bagha must stay together if they want to continue availing of the ghost's boons). But most of all it's about two little heroes who want nothing much more than to "please people with our music" - though it doesn't hurt that in the best fairy-tale style they also end up winning the hands of beautiful princesses along the way! It's one of the most timeless films I've seen. Jai, I've always wanted to know what it seems like from a non-Bengali's perspective. Fascinating read, mate. Thank you for this - it was a lovely surprise to read such good writing about a movie that my friends and I have enjoyed so often. Our good friend is Bengali, and so she ends up translating for us more often than not. It changes the movie watching experience entirely and all for the better, because we are actively a part of the moment instead of just sitting there. One request...expressions like Bong,Mallu,Gujju in formal write-ups, even if they or trivial pursuits like movies and painting..may be avoided.. they are very casual,annoying and distracting. Anon: I know - I can just imagine the effect on anyone who was lucky enough to see the film at age 5 or 6! Dhyanasankalpam, two things: 1) This wasn't a formal writeup exactly, it's a fairly informal, personal column. I do take your point, though. Still, I used "Bong" in just one place - didn't intend it as a generic substitute for "Bengali". 2) Movies and painting are not "trivial pursuits". Dhyanasankalpam is a muralist, so your irony deficiency seems even more ironic. I remember watching the movie as a child. One of my fond memories: whiling away my summer holidays watching and discussing the movie... You should certainly try watching some more movies by him. It might be a good idea to watch it along with a bengali. You might also try movies by Ritwick Ghatak for example, Meghe Dhaka Tara is one of favourite movies. Being a non- bengali myself my knowledge is very limited..
Nishant: I'm curious - what gave you the impression that I haven't watched other Ray (or Ghatak) films? And yes, I have watched quite a few of them in Bengali company too. Really enjoyed reading about my favourite movie here. Ironically, one thing that has struck me recently while watching the movie for the nth time with my 8 year old, is that the movie is also about language. Goopy Bagha sing to the king of Shundi: we speak a different tongue, but we do know the language of music, rhythm, etc. The king of Shundi speaks a very refined Bengali unlike the colloquial language of the two village heroes. The people of Shundi have lost their ability to talk, while in Halla the magician Burfi talks in a gibberish that only the evil minister can understand and creates a medicine that enables the people of Shundi to talk finally. Also, while reading the original story by Upendrakishore again some time back, I realised it is quite different from the movie version. Much simpler, uncomplicated. Ray added a lot of layers when he created the story/screenplay for the movie version. I am sorry. My mistake. It was an arbitrary assumption for no reason. I have been a regular reader of your blog, and your passion for books and movies is great to read. Coming to Ray. I have seen that people outside Bengal don't know much about Satyajit Ray. Like myself. Somehow, since school days (I am 30 now) I had this vagueness about his films. That they are about poverty, and target international audience. And after I saw 'Kanchenjungha', I couldn't believe myself. I have yet to find a director as versatile as Ray. He was an avant-garde film maker. I am just sad about two things, that not all his films are on DVD. Like Mahapurush and Kapurush. And that many of my friends are still unaware of Ray's world. As a closing remark - I was also lost in translation on Gopi & Bagha. Even more so on Hirak Rajar Deshe. And now I am considering learning Bangla. Sudeshna: interesting observation, thanks. I think Salman Rushdie's tribute to the film in Haroun and the Sea of Stories (naming the fish Goopy and Bagha) also recognises that the film is about language on one level. Ashish: yes, there are many misconceptions about Ray's work among both foreign and (non-Bengali) Indian viewers and critics. When he made his "city" films in the early 1970s, there were some western critics who felt the movies were weaker than the Apu Trilogy films because Ray was dealing with a milieu he didn't understand (many of them didn't realise that he had lived a very cosmopolitan life himself!). Similarly, Goopy Gyne Bagha Byne, Sonar Kella and the other children's films are still little-known (or generally underrated as "light diversions") in the West. Jai, some months back I was fortunate to see Julie Taymor's adaptation of Mozart’s opera “The Magic Flute” at the Met in New York (my parents were visiting & we were on a NYC darshan). I suddenly realized quite a few story elements are similar to GuGaBaBa (enchanted forest, magical musical instruments, two people who meet in the forest going on an adventure together, evil monarchs, alliterative names etc.) Since Ray was a big Mozart fan, I wonder if MF was an influence. Btw, has anyone seen that Hayden Christiansen dud ‘Jumper’ from a few year's back? The teleporting scenes there, & they are very different from Star Trek's "Beam me up Scotty", so reminded me of Goopy Bagha. Think it was in DD as a kid that I watched the movie. I don't remember it too clearly but at that age, it seemed all so wonderful that the language did not seem to be a constraint but I guess if I were to watch it now, I may indulge in attempting the language much more. After years of reading translations from Malayalam into English, I have finally moved onto reading it in its original vernacular form and the difference is pretty evident. I am not sure whether any translation can ever capture the essence of the original work, more so when it comes to a book. No wonder literary vernacular language forms do not get the same appreciation that they deserve. Hey, came across your post pretty late. 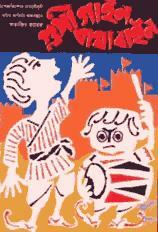 But your point about the anti-war theme in Goopy-Bagha got me thinking. In fact, when asked what was the most political film that he had made, Ray had said it was Hirok Rajar Deshe. Actually, if you see the movie, not just as a movie for children, you'll be struck by the fact that it's actually a withering critique of the Left Front government's education policy. This is Ray at his subversibe best! "When the king of Halla breaks into song ..., I think of Groucho Marx's loony "Just wait till I get through with it" act in Duck Soup." Funny you said that. Because when Groucho Marx's loony "Just wait till I get through with it" act in Duck Soup appears, I kept thinking of GGBB's King of Halla breaking into the song. And I didn't have access to any review mentioning the connection or knowledge of Ray's fondness for the Marx brothers. I remember sleeping all afternoon just to stay awake at night. It was shown in the late night show of Doordarshan and like all children of my age it was a must see movie. It is so politically relevant even today. Hi Jai - this is an old post, i have started following Jabberwock fairly recently and when not browsing through the archives, chance upon older posts like this only when you link back to them (as in this case, from your Criterion released Jalsaghar DVD review) - i have grown up watching Ray and more importantly, reading him. Needless to say, am a HUGE admirer of the man - not just his cinema but his graphic design, his illustrations (you should definitely look up his vintage tea adverts) and his writing. Goopy Gyne Bagha Byne was an adaptation of his grandfather Upendra kishore Roy Chowdhury's story, and that brilliant ghost dance is technically India's first animated film sequence. Udayshankar choreographed the whole thing, which was then reversed on the negatives and animated by hand by Ray himself, on the analogue editing table. The anti-war theme you mention however, though highlighted here, has been explored much more in the sequel Hirok Rajar Deshe (later causing Indira Gandhi to ban the film - many consider it a comment on the state of emergency declared by her) - the couplets, the characterisation, the lyrics, the symbols are all brilliantly political - breaking the nose of the kings statue, a giant 'brainwashing device', a greedy scientist (Santosh Dutta plays the scientist here by the way - doublecast as the King of shundi from GGBB) and a rebellious teacher to name a few. Also contains one of the most memorable performances by Utpal Dutt - as the evil Hirok Raja. you must, MUST watch it if you havent already. But yes, if possible in bengali company, the dialogues are very crucial and laden with symbols so poor subtitling will be very unfortunate. Sorry, got carried away hence the long comment, I just feel so strongly about these films - dont think they received the attention they deserve. Amrita: saw Hirak Rajha Deshe a long time ago but need to see it again - barely remember it. Hope you've seen Shyam Benegal's Ray documentary? It's on the Jalsaghar DVD and it's really interesting. I believe that everyone who loves supernatural films must have seen the famous film,where the three supernatural powers of two mans which was gifted by a ghost to them.. Yes,i am speaking of 'GOOPY BYNE AND BAGHA BYNE'.. It always comes in mind that if that type of bengali supernatural film can be made at that time when no one could thought of it,but only Satyajit Roy did.. If SUPERMAN can return,BATMAN can return,even KRRISH can also return then why not the famous 'GOOPY and BAGHA' can't return in our 'Bengali's culture' to again represent INDIA,for its own artistic creation around the WORLD..
And here I was, thinking only a total Bong can Enjoy and understand Ray's work - especially the ones like gupi bagha - which though in a fairy tale form for children, is so much about topics about all eternity - equality, simplicity, anti-war, etc etc. I really like both the movies (Goopy Gyne...and Hirak Rajar Deshe), despite the fact that I don't know Bangla. The Ghost dance sequence in the first one was just amazing... although I generally like Hirak Rajar Deshe better, mainly because of Santosh Dutta and Utpal Dutt..and the amazing satire!